We live in the lap of Himalaya and for ages we have been roaming around in these rugged mountains. We have been to the interiors and to the remotest regions where the accessibility for the most is almost impossible. Glaciers, high altitude lakes, high passes, forests, rivers, remotely located villages, architecture, lifestyle, culture and history all of them collectively form Himalaya. We keep roaming in these hills from the foothills to the high regions. During our visits we observe, enjoy, collect information and design the trips from the point of view of our clients. Many of our tours include visits to the remotest parts of Himalaya and we try to design the tours that provide more fun and more information. Still we keep the comfort of our clients in mind so that the program does not become exhausting for you. The tours that we offer have been designed after the personal visits to the places and after having personal experiences. After spending years and years since 1993, in the tourism industry, we have created a variety of trips in the Himalayas. Sumit, the founder of Astounding Himalayas, has travelled across the hills, valleys, passes, lakes, villages, forests, on foot, on road and in the cars. He has been a tours leader for several years and still considers himself as a Guide. We are passionate about our work and exploring the areas is our first need and requirement that helps us designing new trips and experiences. We like to work with the local communities. New ideas keep coming up in the world and in the industry of tourism and with their help, we keep adding new tours to our menu. We prefer to work with the locals. For accommodation, our first choice is Home Stay. We visit them, inspect them and if we feel something new to be added to make the services better, we educate them. We make them a part of our team, support them and make them feel confident. As service providers through our parent company Shimla Walks, we provide handling services to the various Travel Companies from across the world. With our own fleet of vehicles and team of guides, we are capable to cater to people from all walks of life. Thanks a lot Jim for this lovely feedback. We are always there to serve you better and provide you the best of your holiday in Indian Himalaya. Thanks a lot Sue. It was great to meet all of you and we are always there to serve you better. Thanks a lot Mam for joining us. It was great to have you with us on this journey. We try to improve more and more by adding more frills to the itineraries. Will I get the chance to take photos and interact with the locals? peculiar to your country to show them. is a very common and untimely drink in India. They shall be very happy if you accept their invitation. What would be the appropriate dressing when taking one of your tours? you for a long time, as you are a foreigner. religious buildings shorts are not allowed as it will restrict your entry into buildings. tradition other wise the authorities might not allow you to enter the premises. footwear those are easily available in the markets in India too, these footwear are easy to remove and wear.  Women are sometimes not allowed to enter some of the religious places in the hills. What should I bring as luggage? matter what time of the year, as we travel at altitudes above 3500m.  Travel documents: passport, visa, travel insurance, air tickets. sunlight and exposure to high altitudes.  Antibacterial hand gel, when water is scarce.  Day pack to carry your personal needs during the day.  Walking Boots – light weighted.  Tights, for Women. At least one pair.  T – Shirts. Take several.  Alarm clock and torch/flashlight.  Refillable water bottle, for filling from thermos.  Ear plugs can be useful if avoind someone snoring in the group.  Your own sleeping bag.  Warm clothes. It is recommended to bring thermal under wear, and either a down or a fleece jacket.  A wind proof jacket.  A pair of gloves.  A scarf or face mask for dust, Sarong for covering up when washing / showering.  Underwear. Three pairs are enough.  Bras. For Women, a couple.  Tampons or Sanitary Napkins. They are easily available in the open market.  A candle, large and small rubber bands, plastic bags, tape extra pens etc. 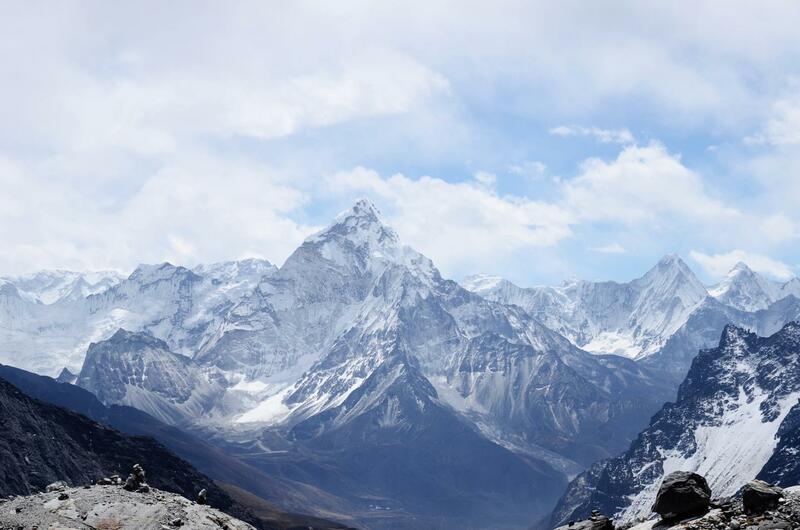 What is the Himalayan weather like during the different seasons? melts from spring onwards but also conditions vary from place to place.  By the end of October any place in the Western Himalayas can be very cold. these months you might have long rainy days. be prepared. A drop of 2 degree centigrade every 1000 feet gained in elevation is common. some other route, however it is quite unlikely. Hotels, Guest Houses, Home Stay. shall be staying in guest houses / small hotels / tents. may not be able to provide hot water showers. Body sponging is possible at the places where showers are not available. What is the physical rating of your tours?  We shall be driving in the hills through the green area and be reaching the brown area commonly known as Cold Desert. these drives who know how to enjoy the Natural beauty and the landscape around. you any opportunity to get irritated and leave your camera. for you then it is suggested to slow down and go gradually. Are the tours you offer suitable for everyone? These Jeep Tours / Walks are for those who enjoy traveling without the knowledge of what is around and the next corner. to go at least once in his or her life but due to certain reasons, such as health, or time sometimes can’t go there.  One who enjoys in the unknown.  One who is ready for the ups and downs of exploratory travel.  One who does not expect silky comforts during the trips.  One who is prepared to pitch in and help when required.  One who does not care what is there around and after the next curve.